ARGOJAZZ, a combo formed by members of the Argonauts – John Harries (saxophone), Andy Lavery (keyboards), Paul Critchfield (bass) and Alan Barwise (drums) - with guitarist John Miller will be performing, well, jazz at the Horse and Groom, The Street, Mortimer Common, Reading RG7 3RD from 3 p.m. on Sunday 20th May. Singer and keyboard-player Andy Lavery (of the Argonauts) has released The Mortimer Tapes, an eye-stretching ‘concept’ EP concerning his home village of Mortimer, Berkshire. Proceeds will go to a local primary school. Investigate The Mortimer Tapes on Soundcloud for further information. 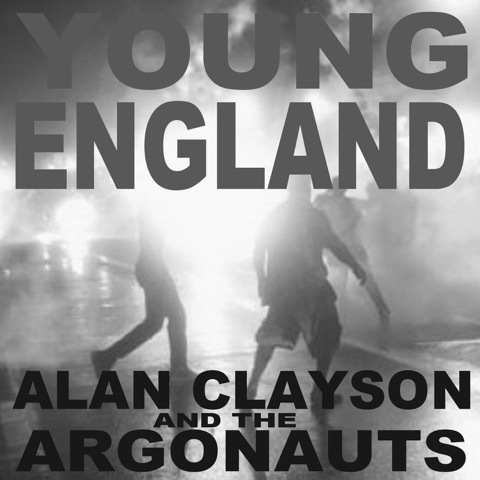 So far, critical response to THIS CANNOT GO ON…, the latest long-playing record by ALAN CLAYSON AND THE ARGONAUTS, has been gratifying, and has included rave reviews in Rock ‘N’ Reel, The Beat, Just Listen To This and Pop Diggers. Further coverage in outlets is expected. Moreover, the group is all over the present (January/February) edition of Rock 'N' Reel (RNR) like a rash, most conspicuously in a lengthy feature (headlined ROCK FOLLIES, damn their impudence) in which all Argonauts - not just Clayson - are mentioned in detail. If you are unable to obtain a copy locally, it's on sale at outlets like W.H. Smith. There have also been interviews in Record Collector, on local radio and – reproduced in ARGOSY 2017 – with Jane Quinn, former correspondent for US teen periodical Tiger Beat. Why is it called THIS CANNOT GO ON...? That’s a line from ‘Looking For A Monday’ – which seemed apposite as it relates to careers founded on short-lived novelty and descent into a netherworld. Yet, in the teeth of many I-don’t-want-to-do-this-anymore moments over the decades, it’s likely that ALAN CLAYSON AND THE ARGONAUTS will endure unto death. Incidentally, ‘looking for a Monday’ was an expression I overheard my friend and sometime employer Dave Berry use during a telephoned conversation with his agent over filling a vacant evening in a string of one-nighters. Some of the tracks date back to our ‘imperial’ period in the late 1970s, but most are relatively fresh off the assembly line. There’s nothing we won’t dare to try – although ‘This Time Tomorrow’ is often extrapolated into curious realms during concert performances. That one is reflective of the plain fact that not a solitary Argonaut is below that age of sixty-four. How do you manage ‘The Local Mister Strange’? That has to be ‘approximated’ on the boards, not least because the version on the disc features John Otway guesting on theremin (which is the instrument heard most famously in various horror movies and on ‘Good Vibrations’ by The Beach Boys). In ‘The Local Mister Strange’, the secondary character is a television repair man, but the first person singular lends this opus its title. Musically, it hinges on a repeated six-note riff. If it starts to grate on your nerves, perhaps that’s almost the point. ‘I Hear Voices’ appears to be about someone similar. Yes, he’s one of these quiet-shy-blokes-who-keeps-himself-to-himself. They’re the ones you have to watch – who go berserk without warning and machine-gun a bus queue or leave a packet of wine gums outside Buckingham Palace. In a more a passive way, ‘Teenage Runaway’ borders a similar area, centred as it is on a surf-tormented shore where stands a boy whose parents valued him for what they thought he ought to be. He found this so objectionable that he became, well, a teenage runaway. Moreover, ‘Lone Cloud’ is based very much on the suicide of someone closer to me in her particular way than anyone else. By contrast, despite the ‘power ballad’ tempo, ‘Angelette’ finishes quite optimistically. That’s an example of a common songwriter’s ploy of using a girl’s name as a title – except I couldn’t get the name of the girl I had in mind to scan. Nevertheless, she knows who she is. Another composition she inspired is ‘If I Lost You’ – which also concerns a yearning to dwell on an island in the same geographical and local television news region where I live at present, i.e. in the proverbial ‘nearest faraway place’. She must be quite a girl. She’s Latvian – and ‘The Refugees’ is an articulation of her parents’ separate flights from an intolerable native land torn apart by Hitler-versus-Stalin. When it became obvious that there’d be no welcome back to the Baltic States, they’d held painful homesickness at bay, and become naturalised British citizens, far removed from another life of Imperial-bearded burghers, milchcow madchens, lederhosen-clad boys, Hanseatic cities, thriving tillage, Wagner, Tchaikovsky, bratwurst, black bread, slivovitz and inky forests where, once upon a time, Hansel and Gretel had come across the witch’s gingerbread-and-candy cottage. Who’s the female in ‘Derrydown Lane’? On the first Saturday after I started at college in nineteen-seventy-forget-about-it, I went to the Freshers Ball, and was astounded to finish the evening in the bedsit of someone I’d judged to be way out of my league. It turned out that she was – because she made it clear that, if I wanted our antics in her room to continue, I was, under no circumstances, ever to address her in public. Why do a lot of the less personal selections dwell on specific historical figures? In 1972, I became lead singer of Turnpike, a folk-rock outfit who, throughout my three years with them, kept their ears to the ground for someone more suitable - like, say, a biological duplicate of Sandy Denny or Jacqui McShee. Unaware of this hidden agenda, I kept trying to break the rhythm guitarist’s songwriting monopoly with my own creations – which, in keeping with Turnpike’s stylistic determination, were of ‘olden days’ persuasion. As well as being nearly a decade ahead of that brief craze for chartbusting historical epics headed by Adam and the Ants and Ten Pole Tudor, this became something of a stylistic trademark, peaking, I suppose, with ‘Landwaster’, which, as a 1978 B-side, penetrated briefly a couple of Top Forties sur le continent after a radio presenter in the Netherlands started spinning it by mistake. A studio remake is the finale of THIS CANNOT GO ON... – which also includes ‘Geronimo’ – the blood-stained legend of the landlocked Wild West, who spent his last days as a tourist attraction - and ‘Fame And Fortune’, penned late in 1977, ten years after flower-power was supplanted by Al Capone chic from the jazz age and Prohibition-fuelled carnage by slouch-hatted, wide-lapelled hitmen riding on the tail-boards of Buicks. Though the lyrics of ‘Young England’ might read ‘historical’ too, they – like those of ‘The Refugees’- are germane to these present distracted times. Furthermore, the original title of ‘Aetheria’ was ‘Beer Cans On The Moon’, and was intended to combine an interest in astronomy with a Searing Indictment Of Society. Then imagination was captured by the name of a nondescript region on Mars and an awareness that other territories on the planet - e.g. the Styx, Olympus - were named after places in Greek mythology. The recurring Latin chant (‘de ira dei’) means ‘from the wrath of God’. Finally, are you pleased overall with THIS CANNOT GO ON...? From a technical perspective, none of my earlier releases, both solo and with the group, has ever achieved such a profound depth of sound. Perhaps that was connected with a deliberate decision to minimise acoustic separation in our bass guitarist’s home complex – apart from lead vocals sung in the hallway and the sax honked in the living room: all very Joe Meek. Other than backing chorale and necessary overdubs, certain selections were completely ‘live’, capturing a spontaneity and thrilling margin of error that could only have happened then and there. We were really tearing it up on every session, the most wailing combo on the planet!